This Classic Fox Meadow Colonial is refreshed and move-in ready for today&apos;s buyer! This home has sunny, light filled rooms with a spacious open layout, renovated kitchen and baths, four bedrooms on the 2nd floor, newly refinished hardwood floors, a freshly painted interior, brand new oven, and tons of closet/storage space! 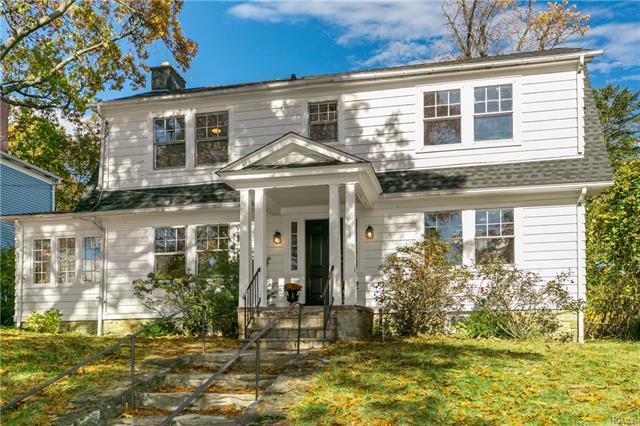 Set in a perfect location, you can walk to the train, Scarsdale Village restaurants and shops, state of the art playground and Hyatt field, as well as qualify for free district busing to Fox Meadow Elementary School and Scarsdale Middle School. Experience all Scarsdale has to offer at an unbelievable price point!